Note: this post contains some content that may be upsetting for certain readers – including mention of torture and the Cambodian genocide. 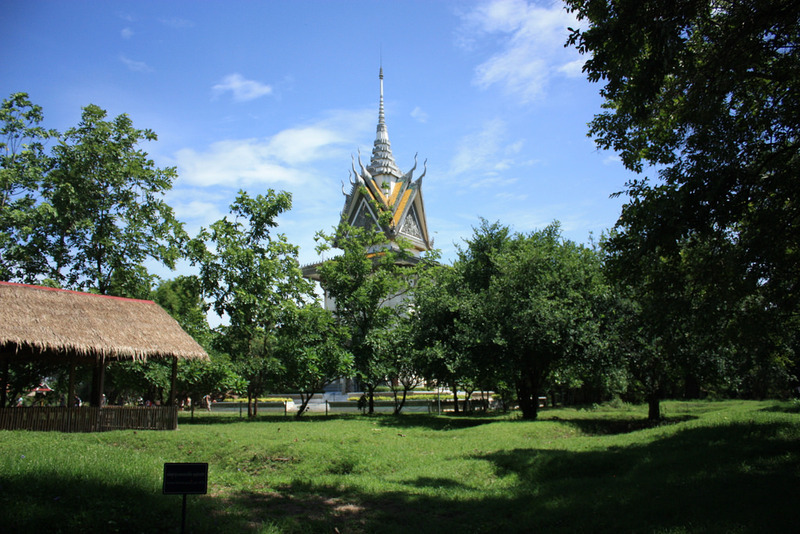 My trip to Cambodia feels so long ago – more than five years – that I have to remind myself that I was there. I look at the photos, and see myself looking so damn young that it almost startles me. 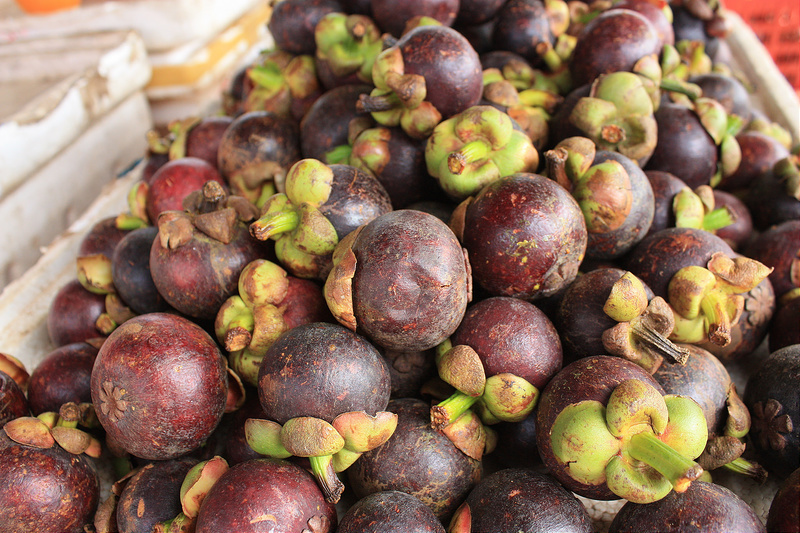 I went to Cambodia with Nicci and we rode bikes to Angkor Wat and she would shout what vehicles were coming upon us and I would caution her about the monkeys that sat on the side of the road and we ate gelatinous fruits in air so damp and hot it felt like we were inside a sauna. 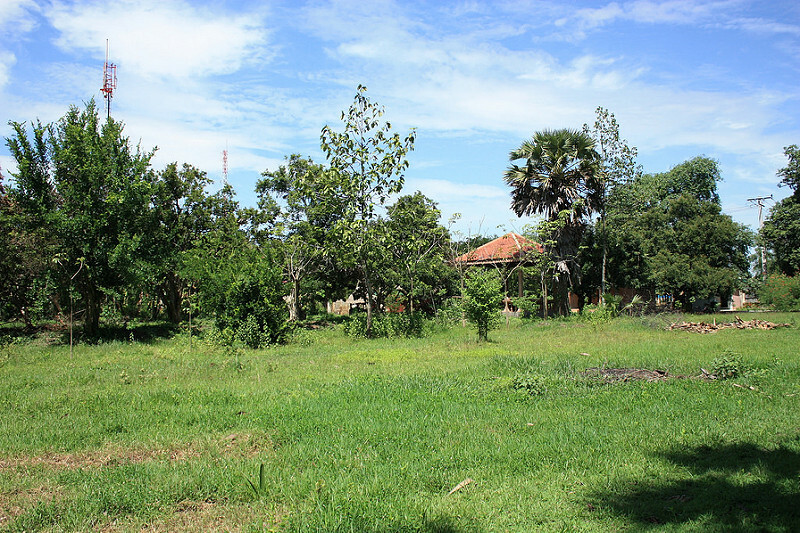 We went to Tuol Sleng prison and we visited the Killing Fields in one day, and it felt like there was nothing left of us after that. 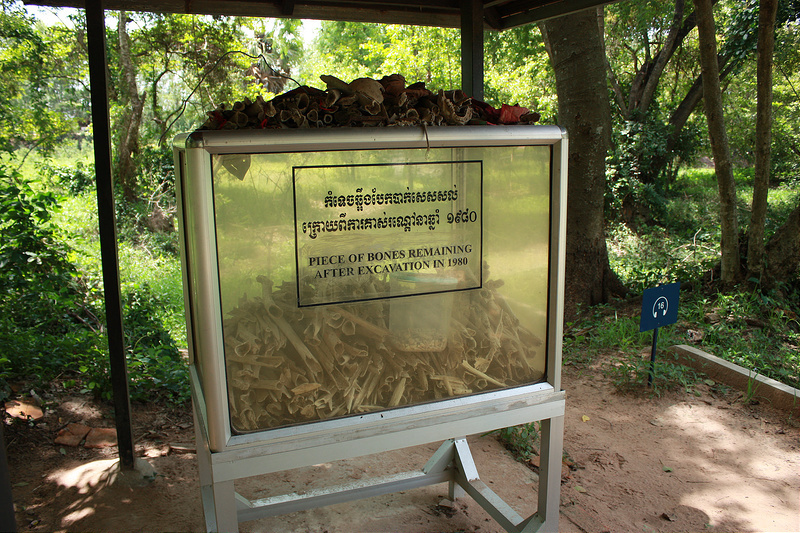 Even as spectators, as tourists, as white women with expensive cameras, even with all the veils of privilege and distance to insulate you, the history of the Khmer Rouge will leave you feeling like a hollow shell. 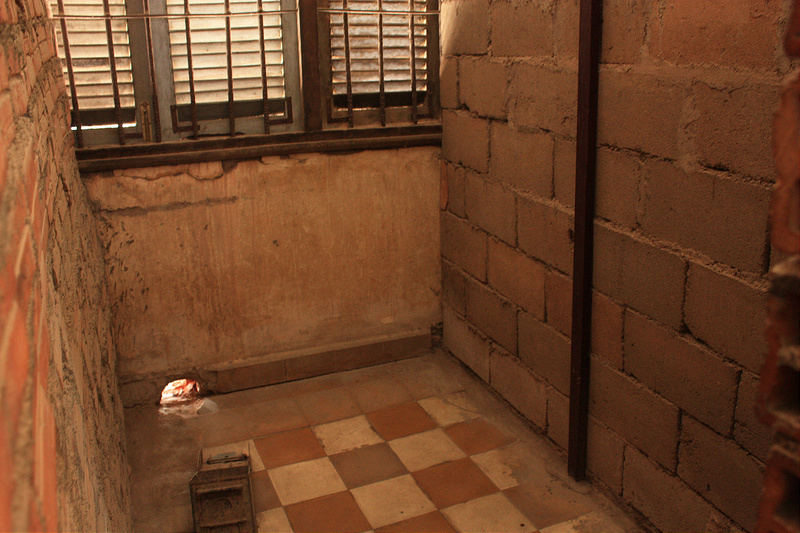 I remember how the tiles in Tuol Sleng still appeared to be stained with blood (I couldn’t – and still can’t – say definitively if they were). 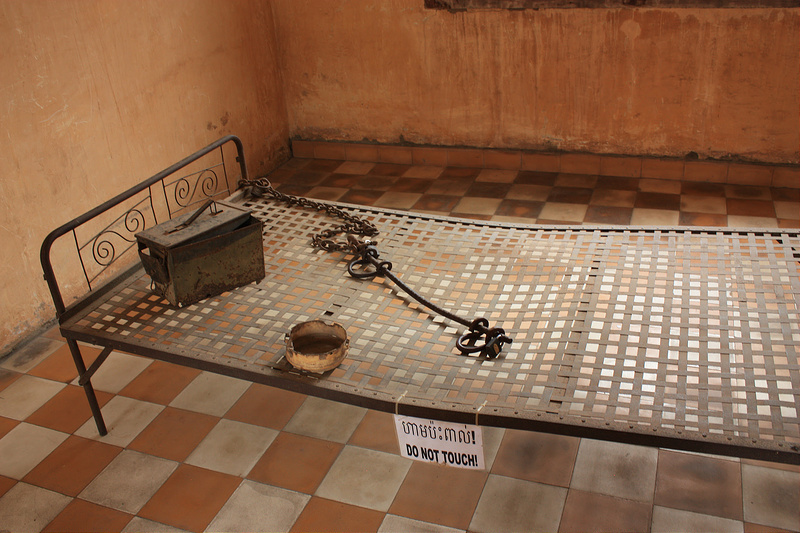 How a rusted bed frame sat in one corner of the room and someone explained that this was the same bed that prisoners had been chained to and tortured on. How of the more than 20,000 people to pass through the prison, only 7 survived. This cell was only about three, maybe four feet wide at most. I remember thinking it looked no bigger than a closet. I may be remembering incorrectly (it’s been so long) but I think I read that the metal box once held scorpions used to torture inmates. 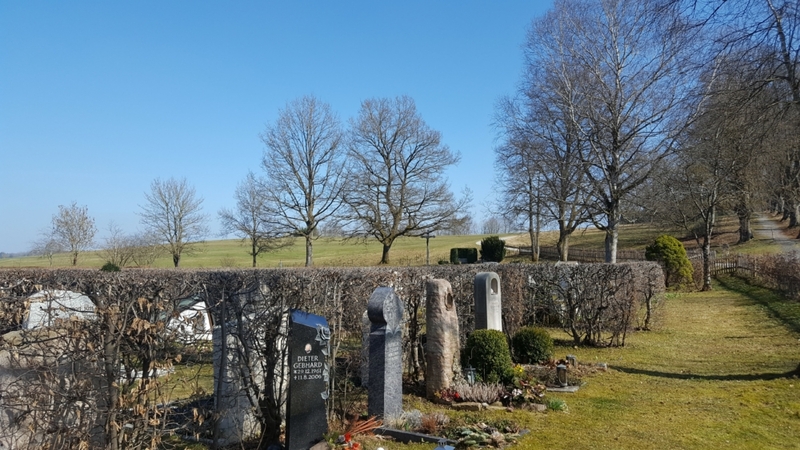 Later at the fields, we saw grounds that were sunken in from the decomposition of the bodies in the mass graves, and were instructed to stay on the paths less we disturb the remains. We were told that every time it rained, bits of cloth and bone and teeth would come to the surface and the groundskeepers would gently gather them up and put them in cases. 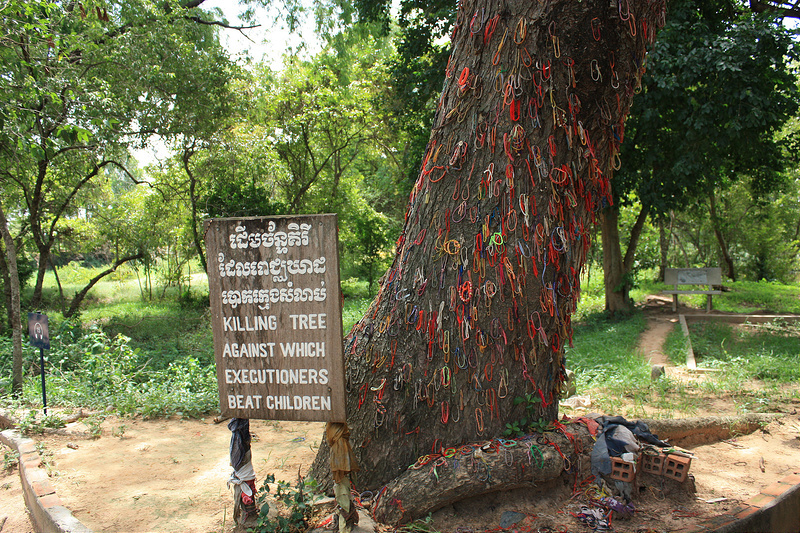 A tree at one edge of the fields bore a sign indicating that this is where children had been murdered (dashed against the trunk) in order to save bullets. Monks walked the grounds, and butterflies fluttered in the heavy, still air. It remains one of the most terrifying places I’ve ever been. I didn’t write too much about that trip to Cambodia. 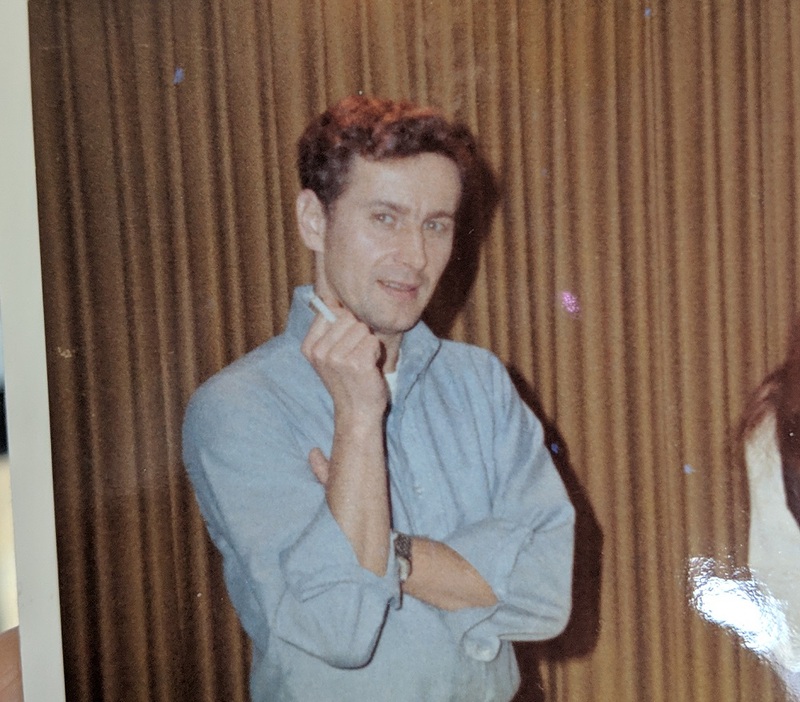 I started to, but it was hard to wrap my head around the experience, and returning home was so jarring, even though I’d only been gone for two short weeks divided across there and Vietnam. More and more time passed, and I neglected to talk about Cambodia. 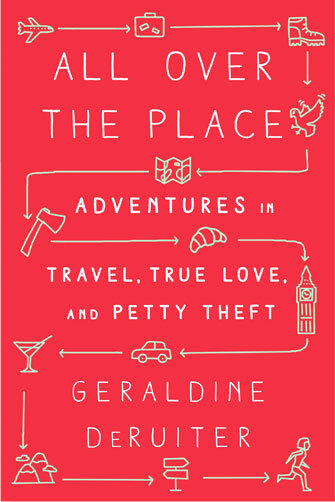 I wrote a book instead, with nary a mention of that trip. Perhaps it was deliberate – it’s easier to block it all out, to go on with the privilege of being comfortable and oblivious. The Khmer Rouge committed mass genocide, slaughtered millions, and destroying the country’s collective cultural, scientific, and artistic history. The U.S. played a critical role in their rise to power and securing their legitimacy and place on the global stage (we gave them weapons and money, we voted to give them a seat at the U.N., we helped to create the power vacuum and instability that enabled them to rise to power in the first place). 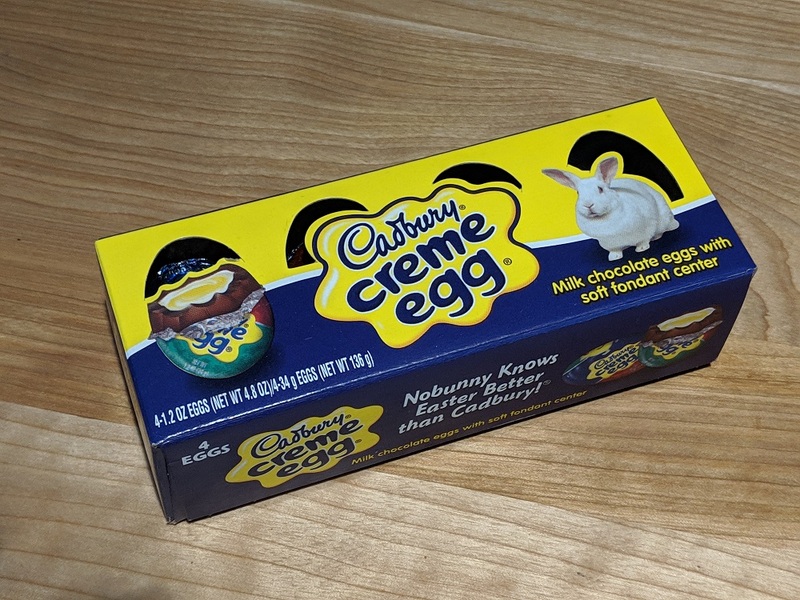 I know these things without looking them up but somehow, in the intervening years, I’d allowed myself to forget. Earlier this month, Rand and I were once again invited down to Ashland for the opening weekend of the Oregon Shakespeare Festival. One of the shows we’d be seeing was Cambodian Rock Band – a musical. It had been described as heartbreaking and funny and uplifting, and I’d noticed that the positive adjectives outweighed the negative, and paired with my own self-denial that was enough to convince me that this play would not ruin me. It did, of course. I should have seen it coming, but I wanted so desperately to rewrite history. The characters in the play feel subject to this same force. We know how the story ends, we know who dies (virtually an entire generation), and yet we are given the illusion that things might somehow turn out differently. The tension is almost too much to bear. I told Rand that if I was watching it all unfold on my television screen, I’d have changed the channel. But plays and real life have that much in common – usually, you can’t escape it. The only way out is through. I don’t want to reveal too much about the plot – there are parts that you can anticipate as a viewer, but that’s a hard thing to avoid when a play is so deeply rooted in real-life horrors. Like I said: you know how the story ends. You simply have to watch the path unwind to see it get there. It’s agonizing at times. The second act is peppered with the sort of violence and gore that you’d be accustomed to finding in a work by Martin McDonagh. But unlike McDonagh’s work, it isn’t violence for violence’s sake, but rather based on facts. It is the parts of the play that are ripped from history that are most disquieting. The tiles of Tuol Sleng are perfectly recreated. Even the main antagonist – Duch – is a real person, and not some contrived bogeyman. He is currently still alive, and would be the only member of the Khmer Rouge to face an international tribunal for his part in the Cambodian genocide. Abandoning your suspension of disbelief won’t protect you from this play. The details may not have happened, most of the characters may be fictional, but the large scale horrors are all real. The performers in Cambodian Rock Band are excellent – transitioning from musical numbers to intense dramatic performances and comedic scenes with a sort of ease that leaves you reeling (but that is something I have grown accustomed to with the OSF). 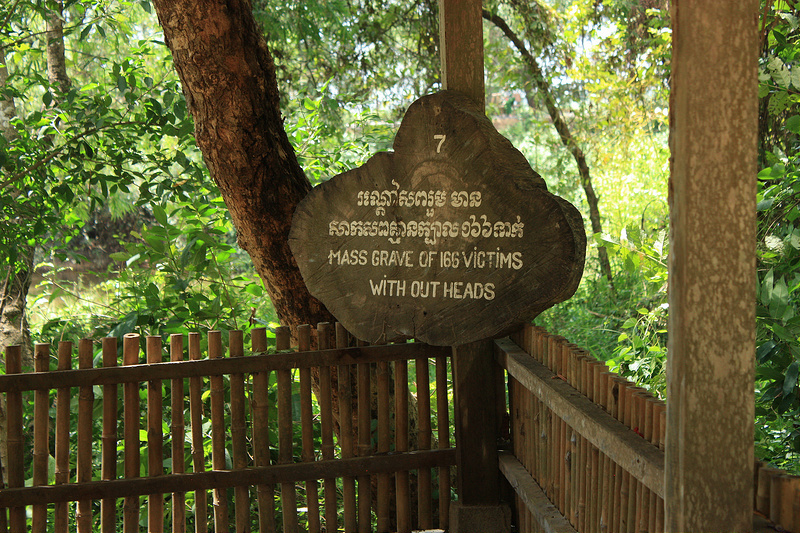 The show holds similar space in my heart as my visit to the prison and the Killing Fields did: I’m glad I went. I would tell others to do so, with the caveats that it is an intense and terrifying experience, one I will likely not repeat. There is a part of me that wants to push it all into the recesses of my memory and focus on lighter things, like the other wonderful shows we saw that weekend. But I’ve learned that ignoring history doesn’t change it. And sometimes the best way to honor the dead is to remember.